In Routing and Remote Access Service (RRAS), NAT can be used to provide basic Internet connectivity for small offices or home offices. NAT translates IP addresses and associated TCP/UDP port numbers on the private network to public IP addresses which can be routed on the Internet. Through NAT, host computers are able to share a single publicly registered IP address to access the Internet. NAT also offers a number of security features which can be used to secure the resources on your private network. The NAT service is integrated with the router that changes the information of the originator in packets prior to them being forwarded to the Internet. NAT can be configured through a demand-dial interface where the connection is only established when the client specifically requests the connection; or through a persistent connection which is a permanent connection that remains open all the time. RRAS IP packet filters can be used to restrict incoming or outgoing IP address ranges based on information in the IP header. You can configure and combine multiple filters to control network traffic. With NAT, you can configure inbound IP packet filters and outbound IP packet filters. When defining criteria for the packet filters, you can use whatever combination of IP header information. Internet Connection Sharing; should be used for very small networks only. The type of connection which will be used (a demand-dial interface, or a persistent connection). Using a persistent Internet connection would ensure that the NAT server can at all time connect to the Internet. The servers that will be configured as NAT servers. It is recommended to use a dedicated computer to run NAT. The interfaces that are to be configured with private IP addresses and the interfaces which will be configured with public IP addresses. The manner in which access to resources on the private network will be assigned. The IP packet filters that will be configured. 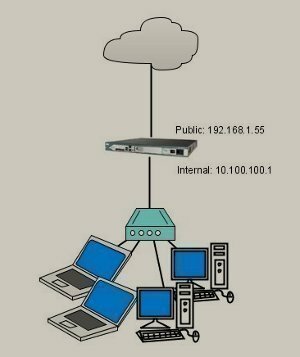 The IP configuration method to use with the NAT implementation. The scope of the NAT server. Will the NAT server be allowed to assign IP addresses, and handle DNS resolution requests? DHCP IP addressing component: The computer that has NAT installed acts as a simplified DHCP server that assign IP address information to other client computers. In the left console pane, select the RRAS server that you want to work with. You can use the Routing and Remote Access management console to configure a number of settings for the NAT. The Properties dialog box contains four tabs which can be used to configure settings for the NAT service. Enable a basic firewall to prevent unauthorized users from accessing resources on the private network. Specify the Internet addresses which the NAT server will use. A minimum of one Internet address has to be specified. Specify the type of interface. Click OK.
Add the address range obtained by the ISP in the Address Pool tab. 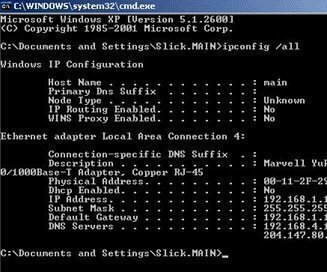 If you want to use an existing DHCP server for IP address assignment, click the Dynamic Host Configuration Protocol (DHCP) option. Next, use the Add, Edit and Remove buttons to specify the address range which the NAT server will use to assign IP addresses to clients. If you do not have an existing DNS servers or WINS server that can be used for name resolution, click the Enable broadcast name resolution option at the bottom of the IP tab. The internal interface is usually created by default. The external interface has to be manually added. The private interface should be specified as the private interface in its associated properties dialog box of the NAT/Basic Firewall node in the Routing and Remote Access console. The public interface should be specified as the public interface in its associated properties dialog box of the NAT/Basic Firewall node in the Routing and Remote Access console. If you have configured special ports, verify that the settings specified for the public address/port, and the settings specified for the private address/port are correct. If you have configured an address pool for the external interface, check that the addresses and mask have been correctly configured. For NAT to work, the DHCP service must be configured. I tried to setup NAT this way things “almost” work. 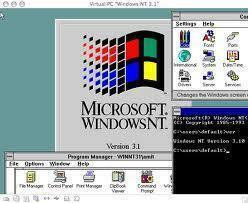 After the configuration nothing worked except for pinging the server from a client on the internal network. However I can not ping external ip such as 8.8.8.8 from either the server nor the client. And from the server I can not ping the client on the private network. Then I added a static route to 0.0.0.0 using the external interface and metric 1, now I can access public ip 8.8.8.8 from the server and all the clients but still I can not get the server to ping the client. Have turn on logging but nothing of interest…. 203 queries in 0.302 seconds.